Another weekend goes by and with it, the SNP spring conference that took place in the Granite City on Friday and Saturday. Although members may be worn out, they are in for a busy week in Parliament with proceedings which include three Ministerial Statements, two Liberal Democrat debates and a committee debate on the sexual harassment and inappropriate conduct inquiry. 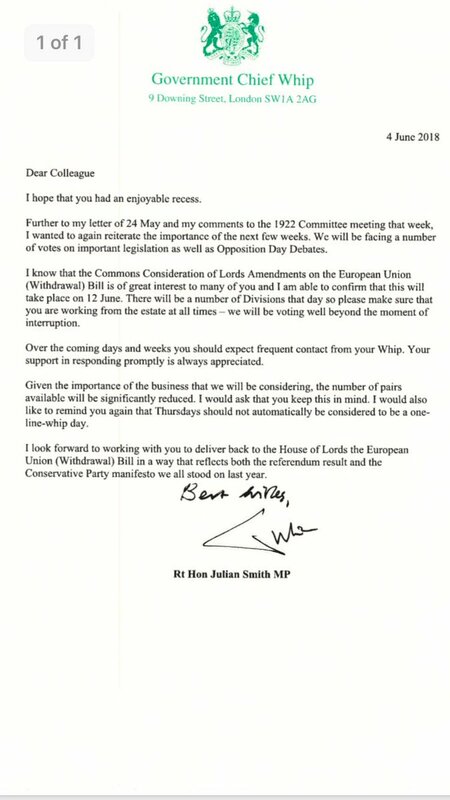 However, a thought could be spared for those involved in consideration of the Lords amendments on the EU Withdrawal Bill…Consideration will take place on Tuesday and Wednesday and Conservative MPs have been advised to expect frequent contact from their whip as Theresa May struggles to establish consensus on the amendments. The process will of course be watched closely by all and particularly the SNP after the Government issued a warning over the “unprecedented constitutional position” that risked “19 years of constitutional convention and practice”. Back in Holyrood though, Tuesday treats Parliament to two Ministerial Statements, the first of which is about the National Council of Rural Advisors. After confirmation from Fergus Ewing that the Council’s final report would not be available for several months, the statement will instead focus on the findings of the discussion paper related to the report. There will then be a statement on Scottish Greenhouse Gas Emissions 2016 followed by a Scottish Government debate on improving the lives of Scotland’s Gypsy Travellers. The problem of poor outcomes experienced by a disproportionate number of Gypsy Travellers has surfaced recently in Westminster and Holyrood, leading to the recent establishment of a Ministerial Working Group on Gypsy/Travellers. Meanwhile, SAMH, Samaritans and others will join the Health & Sport Committee as evidence is taken on the Government’s draft Suicide Prevention Action Plan. The consultation on the plan closed at the end of April and although the update is due for publication this summer, the Government is likely to come under fire from members for the delay in publication after the expiration of the previous strategy in 2016. The Economy, Jobs & Fair Work Committee will consider the impact of bank closures, a situation that has combined with recent ATM closure plans to cause consternation for many constituents and MSPs, particularly older and more vulnerable individuals struggling to access their finances. Wednesday’s Portfolio Questions will see the Government examined on education and skills, with topics including campus accessibility for disabled students, efforts to tackle sectarianism and the allocation and use of pupil equity funds. Likely to cover some of the same subject matter will be the Education & Skills Committee’s consideration of Young People's Pathways, while the Local Government & Communities Committee meets to discuss city region deals with the newly appointed SNP Depute Leader, Keith Brown. Derek Mackay will give evidence on subordinate legislation, including Land and Buildings Transaction Tax, to the Finance & Constitution Committee. Thursday’s committee work will include the Social Security Committee’s consideration of passported benefits, with evidence from witnesses including Citizens Advice Scotland and Disability Agenda Scotland. The Equalities & Human Rights Committee will consider destitution, asylum and insecure immigration status in Scotland, while the Culture, Tourism, Europe & External Relations Committee will meet in private to continue consideration of screen sector funding. The first annual progress report on the Government’s Trafficking and Exploitation Strategy will be delivered on Thursday through the final Ministerial Statement of the week, before the Standards, Procedures & Public Appointments Committee leads a debate on its inquiry into sexual harassment and inappropriate conduct.